A section of the AWPR from a wildlife bridge with people crossing. Picture by Scott Baxter. How did the squirrel cross the road? By scurrying over the high-wire rope bridge. Three special wildlife bridges have now sprung to life offering safe passage to the four-legged creatures along with a newly installed “royal” high-rope squirrel crossing. 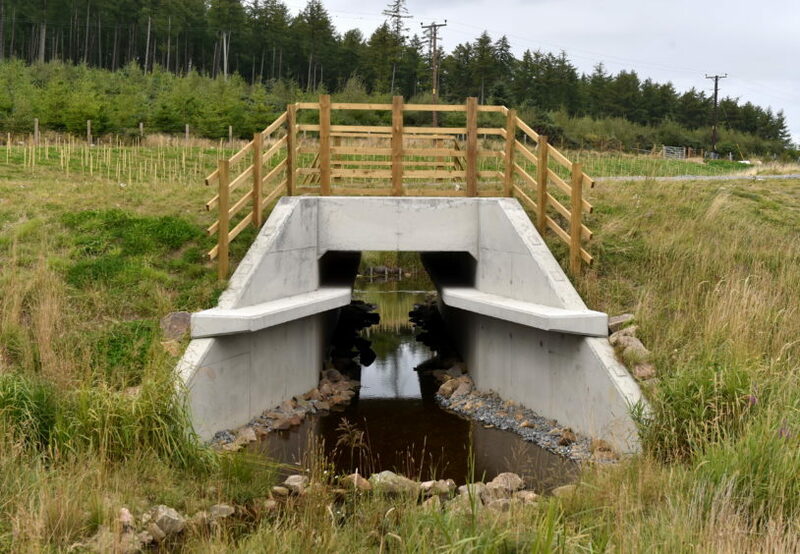 The first of their kind in Scotland, two of the “ecoduct” bridges are covered with topsoil and planting which replicates the natural habitat of badgers, deer and squirrels. A further dual functioning bridge has also been built which can be used by forestry vehicles on one carriageway and horses on the other. 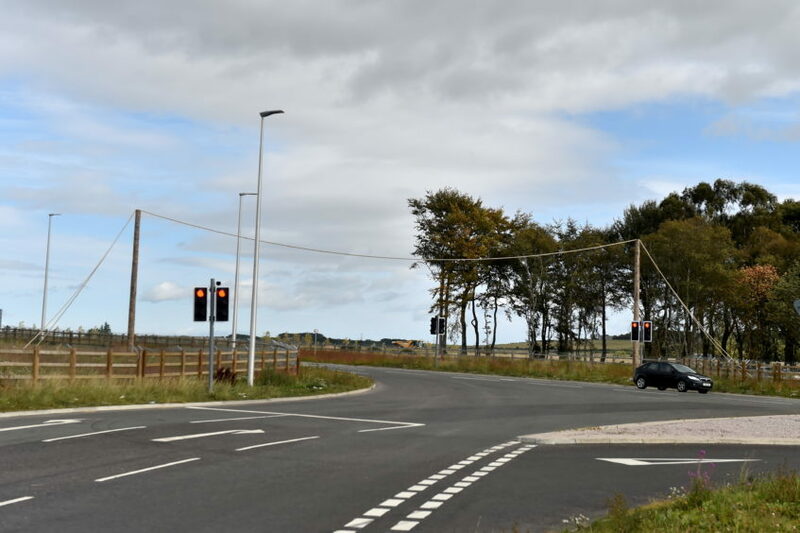 The rope bridge is now open to help the endangered mammals to cross the A947 Dyce to Newmachar road – while putting on a circus-style acrobatics display for the motorists below. 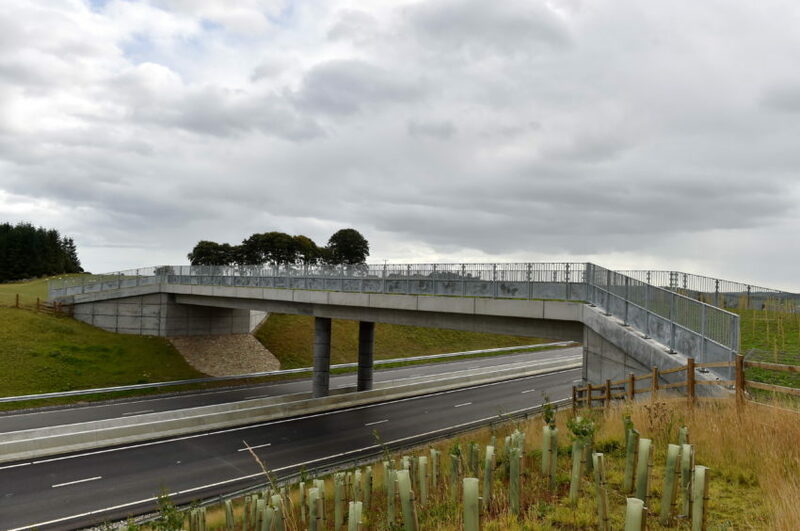 The long-awaited AWPR is due to open this Autumn and the bridges are one of the project’s measures hoped to ensure the wildlife thrives in the area. 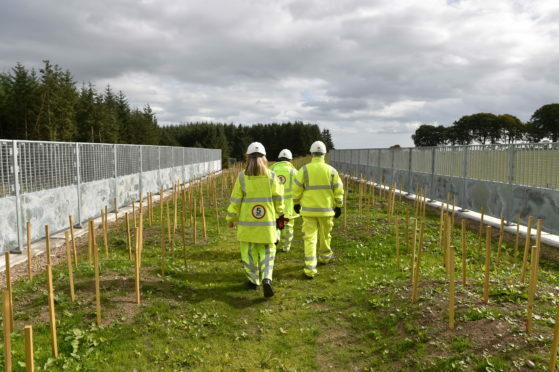 Hidden from sight along the length of the new road, engineers have also included 80 specially designed culverts, which all have mammal-friendly ledges for foxes, otters and badgers to use. Transport Scotland’s project manager for the AWPR, Douglas Laird, said the crossings were all designed with biodiversity in mind. He said: “These are just some of the measures that are considered necessary to ensure wildlife continues to thrive in the area once the road has been built. Badgers, deer and squirrels are “funnelled” onto the crossings and mammal-proof fencing guides animals towards the bridges, providing them with safe crossing points which will join up habitats and connect colonies. Small trees and shrubs will be planted later this month on and around the bridges to provide cover for wildlife.